Many accident victims who strike their heads, but don’t see any evidence of lacerations or bruising, believe that they escaped their accident without major injury. While this is true for many lucky victims, an initial lack of symptoms should not be taken as definitive proof that a person did not sustain a serious closed head injury, as these types of injuries often don’t reveal themselves for days after an accident. If you sustained a closed head injury during a car collision or in another type of accident, you need the advice of an experienced traumatic brain injury lawyer who can help you hold the at-fault parties accountable for their negligence. What are Closed Head Injuries? Unlike open, or penetrating head injuries, closed head injuries involve receiving a forceful blow to the head that doesn’t actually break the skull. There are a number of different types of closed head injuries, but one of the most common is known as an intracranial hematoma, which is a collection of blood within the skull, caused by a ruptured blood vessel in the brain. With these types of injuries, the blood either collects within the brain tissue or underneath the skull, placing pressure on the brain itself and so must be treated immediately, usually through surgical intervention. Another common type of closed head injury is known as a brain contusion. 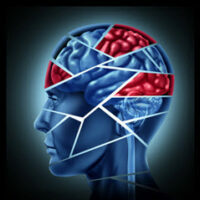 In fact, it is estimated that between 20 and 30 percent of all head injuries fall under this category. Brain contusions occur when the brain strikes a ridge on the skull and in serious cases, are followed by cerebral edema, or swelling, usually within 72 hours after the accident. If pressure on the brain continues to increase or if the hemorrhage results in the formation of a blood clot, the injured party may need to undergo surgery, during which the skull will be opened and the cerebral contusion surgically removed. Closed head injuries are especially dangerous because symptoms often don’t appear for days or even weeks after an accident. These are known as lucid intervals, during which increasing pressure is put on the brain. Eventually, as more and more blood pools in the brain or the space between the skull and the brain, the injured party will begin to suffer from increasing headaches, vomiting, confusion, slurred speech, and dizziness, and in some cases, seizures and unconsciousness. Accident victims should also keep an eye out for the following symptoms: ringing in the ears, nausea, personality changes, nerve damage, difficulty communicating, and changes in sensory perception. Anyone who struck their head in an accident and begins suffering from one or more of these symptoms, should seek immediate medical attention to prevent further damage. If you were involved in an accident that was not your fault and suffered a blow to the head, please call 954-566-9919 to speak with one of the experienced Fort Lauderdale traumatic brain injury attorneys at Boone & Davis about your legal options.